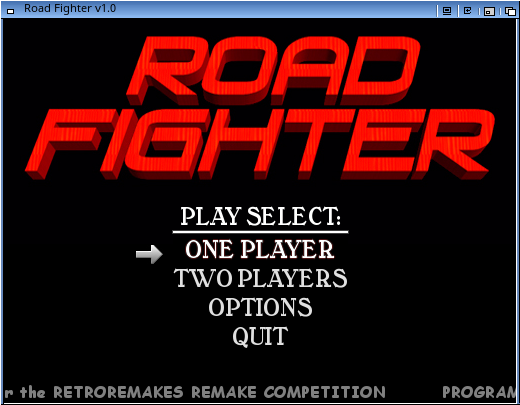 Description: Remake of Road Fighter game from 1985 by Konami. 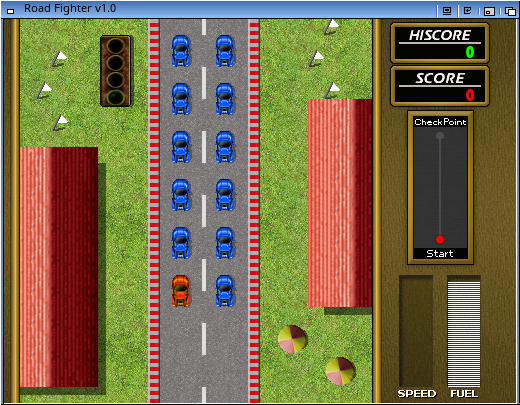 A classic vertical scroll car race. 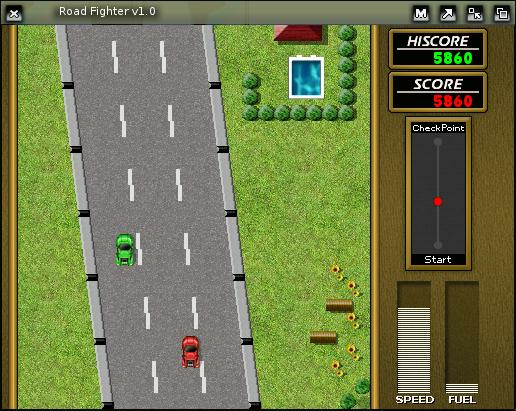 Remake made by BrainGames. Full archive with game data and source code. 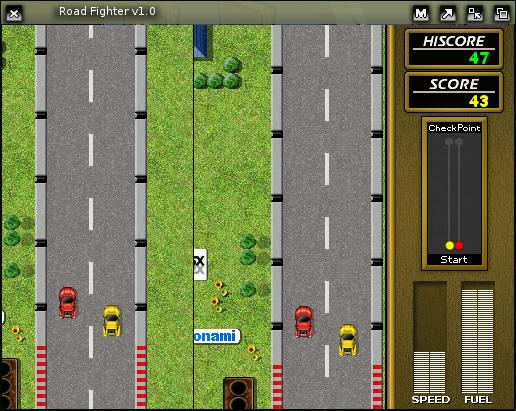 We hope that you can enjoy playing it as much as we have enjoyed developing it!! problems to end the game. accelerate. All three can be redefined in the main menu. 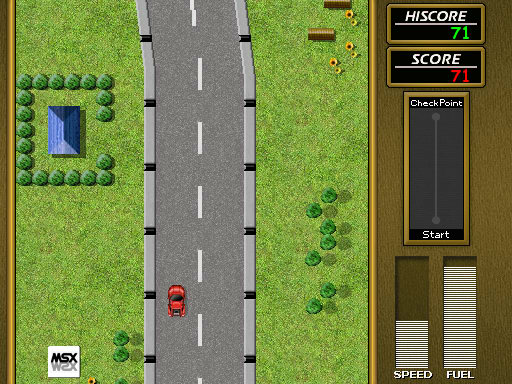 During the game, you can go back to the main menu by pressing the escape key. You can press the backspace key if you want to restart a game. same road where your crazy race is taking place. so sure, they can surprise you! - Rocks: you shouldn't crash on a rock... if you can! recharges that you can during the game. They are represented by the pink hearts. released in 1985 for the MSX home computer systems. related to Konami in any way except for liking their excellent games. this or any other Konami titles. The Retro Remakes crew, for organizing this wonderful competition! Konami, for releasing the original game!